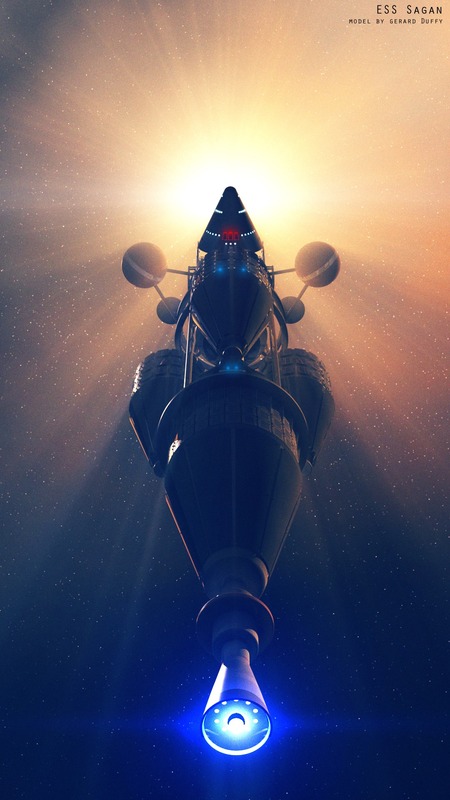 This model cannot be use for profit making, fan art only, it is based on the work of Robert McCall and therefore under his copyright, its at your own risk should you do so. I have been given permission as noted above to sell in a this limited way for which I am very grateful. Over the last few days since, I posted this design I got a request for it, “is it for sale”,, the answer was no, it not.. it is based on the work by Robert McCall. 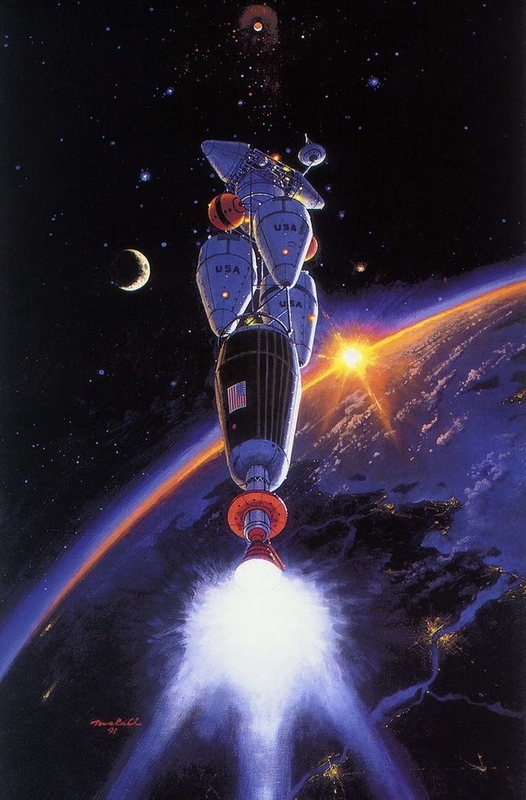 None the less I wondered.. was it possible, I absolutely agree with artist copyright, its is their only and my protection, so I got in touch with Robert McCall Estate and asked what are the chances for selling and conditions. Normally only I share my designs with friends, and no longer make them public these days and I leave it at that, and the few friends that I do share with play with my designs and render something that rocks which is really great. So I am only going to “SELL” 20 units through gumroad and for €18, I think that around $20 or so, and Catherine said it was perfect, her words not mine.. I am not greedy I think its a fair price seeing as I had no original intent on selling in the first place. At the time of this post 1 has been sold already so now its down to 19 remaining. If by some chance the count goes above 20 units. I have promised that any money received beyond that will be donated to a children charity in Robert McCall name. I am delighted to have had contact with Catherine and to be given this permission, its not something I intend doing again, it is a once off and completely grateful for the opportunity to be part of Robert McCall. Note: It was made in Lightwave9.6 and works in Lightwave2015.3 with no problems, its not available in other formats. This entry was posted in Models for Sale and tagged 3d, 3D models, CGI, Lightwave 3d models, Lightwave 9.6, Lightwave models for sale, Lightwave3d, Newtek, robert mccall, Sci-fi, Science Fiction, taraniscgi.wordpress.com by gmd3d. Bookmark the permalink.